Bulk, 3lb bag of pure pickling salt! It produces a sparkling clear brine, for quality pickles every time. 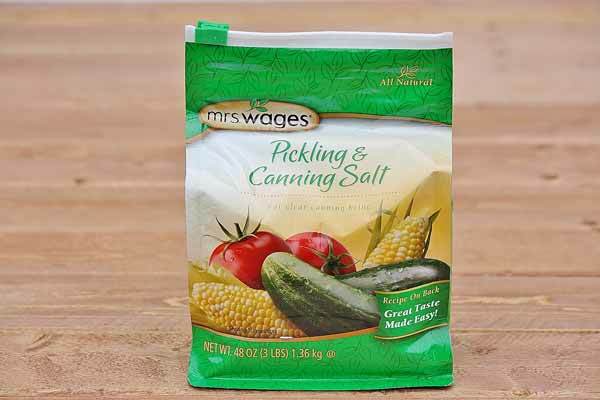 Pickling salt specifically designed for food canning, containing no harmful preservatives, iodine, or other additives. Makes 8 quarts. Save money on a bulk order and be enjoying homemade pickles all year! Made in the USA.